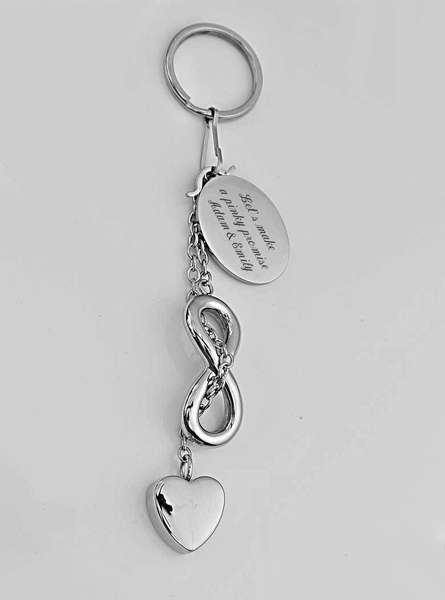 Both sides of this Infinity Heart Keychain can be engraved with any name or message. This engraved heart keychain is a perfect gift that will let her know that she your infinity forever. 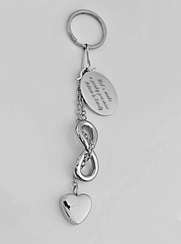 This beautiful personalized keychain has a heart at the top of a infinity and oval shaped design.